The housing allowance and expense reimbursement plans are relatively easy to set up; however, benefits such as HSAs, HRAs, cafeteria plans, retirements, etc. should be handled by tax professionals to ensure they are set up properly. Note: A housing allowance is only available to dual-status ministers. “Dual Status” is what the IRS considers ministers who pass their 5 point test. They are considered an employee of the church for federal income purposes and self-employed for Social Security and Medicare purposes. The church does not withhold or match Social Security and Medicare taxes on a qualified minister. An Accountable Reimbursement Plan is a must for all staff. It is a tax-free benefit that can be very beneficial for your employees....especially your minister which can incur travel expenses in their ministry duties. The ability to reimburse those travel expenses and other ministry-related expenses tax-free it a very important part of a minister's compensation package. See more on a accountable reimbursement policy. Health insurance can also be a great fringe benefit for your staff. This benefit is usually a tax-free benefit if the church pays for the premiums directly to the insurance carrier. However, with the initiation of ACA (Affordable Care Act) churches and nonprofits should be aware of the rules and restrictions of the law and ensure their health insurance benefit is a "qualified healthcare plan". Group "nondiscriminatory" life insurance is another great tax-free benefit. However, keep in mind, only the first $50,000 of coverage is tax-free. Over $50,000 becomes taxable. Disability insurance can be another great tax-free benefit. Staff should be aware though that if the plan is set up as a tax free benefit...the disability benefits paid to them through that plan are taxable. Another desired fringe benefit for ministers is a "Social Security Allowance". This is a great benefit because all ministers that have not opted out of Social Security must pay self-employment (Social Security and Medicare) taxes. A Social Security Allowance can offset some or all of that additional cost. However, keep in mind, that all payments are taxable and must be included in the minister's reportable wages. Want to learn more about setting up and administering a minister's housing allowance? This ebook includes an example of a housing allowance resolution and an estimating expense form plus how to set up an Accountable Reimbursement Policy...a must for every church! Do you have a question or comment about minister or pastor fringe benefits? Share it! Your questions and comments will appear on a Web page. You can wrap a word in square brackets to make it appear bold. For example [my comment] would show as my comment on the Web page containing your comment. Do you have a picture of your church or you to add? Great! Click the button and find it on your computer. Then select it. Should the Car maintenance and gas fall under the Pastor's benefits or Church Operating Expense on the budget item line? Bi-vocational pastor - what kind of fringe benefits can we offer? Are health insurance premiums paid by our minister pre-tax? Can the housing allowance be continued in retirement through an IRA if the IRA provider is administrator of the denominational 403B? Can a religious nonprofit pay for emergency or other health care needs of its fulltime volunteer or paid ministers (dual status ones)? Accountable a Expense no longer valid under the ACA? Church paid health insurance premiums exempt from ALL taxes? Are church-paid health insurance premiums for pastors exempt from ALL Fed taxes, including SE tax? Is the church legally allowed to pay for what the pastor owes when filing his yearly income tax returns? Impact of Health-Care Sharing Ministry payments instead of paying insurance premium? Can my church "reimburse" me for my Roth IRA contributions from the pastoral expense account? 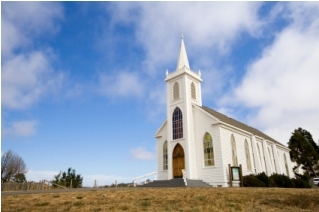 Is it taxable to the pastor if the church pays into his IRA for him? What if we agreed for the church to withhold SS, Fica, and income tax? Are 403(b) contributions exempt from SE taxes? Can a pastor receive a medical allowance? Can a church hold a fund raiser event to pay for pastor's vacation? Does a church have to offer benefits to support staff if they offer them to pastors? Health insurance benefits to a full time or part time staff with no salary.? Can church not pay a salary but give health insurance benefits to a full time or part time staff? I use my home for a lot of church things (I own the home) youth group and I homeless people etc... Can't the church subsidize me for anything? Should I include this in the pastor's income for the year? Or is it simply a reimbursement of an expense? Our pastor is given a pension (% of salary) paid for by the church. This does not reduce his taxable income, where is this reported on the W-2? Can the church pay for education expenses of the Pastor's children? Can the church help to pay for the educational expenses of the Pastor's children and is it taxable for the Pastor? Can a church pay for a pastor's individual health insurance policy after they no longer work for the church? Can a donor give specifically for a pastors medical bills? "Love Offerings" for ministers - income with deductions? Is a part-time, ordained bi-vocational pastor eligible for the same tax exemptions, (e.g. housing) as a full-time pastor? Are salary reducing employee contributions to a retirement account by clergy subject to any taxes or are they completely pre-taxed? Can my husband who is a minister pretax dependent daycare when he sets up his salary package for the year? Every year my pastor gets $7,000.00 as a gift from the church. Is this money reportable to IRS by both my church and the pastor? Is a Pastor's book allowance taxable? Is it a bad decision for the pastor to take a housing allowance due to the SE tax? Is an automobile allowance taxable? Is housing allowance paid to the pastor included in the 1099 he receives. He does not get a salary for a w-2. Serving Religious Non-profit ... Am I Eligible? not ordained minister but receiving housing allowance, report for taxes?